The ‘Friends of Fundy’, incorporated as the Fundy Guild, is a non-profit charitable organization that works to increase public awareness and enjoyment of the natural and cultural heritage of the Park and its surrounding communities. 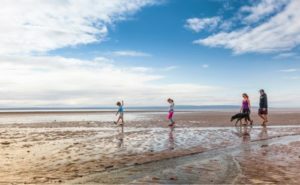 As the official ‘Friends’ of Fundy National Park, we support meaningful visitor experiences that contribute to the region’s conservation and sustainable economic development goals. We operate two gift shop locations within the Park and we work closely with our partners on events such as Rising Tide Festival, Fundy Salmon Recovery, and the Fundy All Nations Pow-wow. All proceeds from our gift shops go towards helping achieve Park and community goals. The Molly Kool Centre celebrates the life and legacy of the girl from Alma who became the first female sea captain in North America.